The only solution available which covers all warehousing functions (i.e., single item, like items, and distribution). Hundreds of new features added each year focusing on saving time, reducing cost and increasing profits. Effectively manage customer assets, fulfillment and distribution inventory. 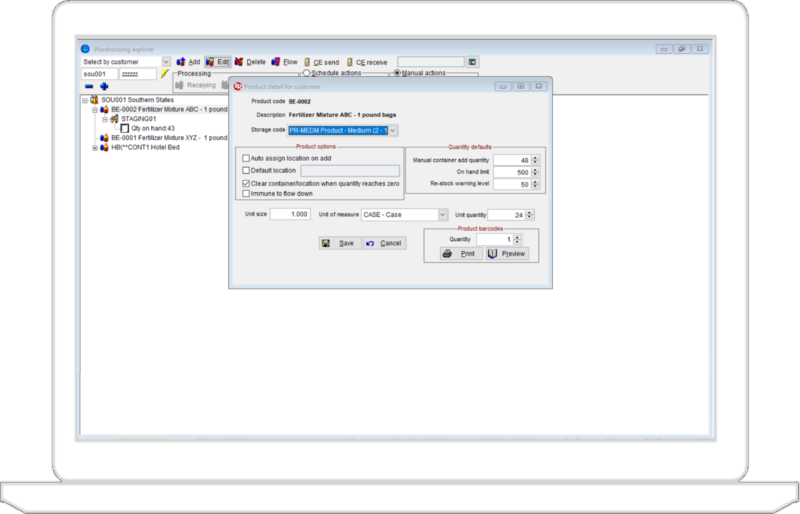 Supports ability to create a product catalogue and includes on-hand and re-order points reporting. Supports request based on location, expire date or FIFO (first in, first out). Barcodes can be generated for specific products, pallets or for locations. Product catalogues are loaded to device for inventory processing. Maintain proven chain of custody with date / time stamped transaction logs. Clients can search and request inventory by product code or description. 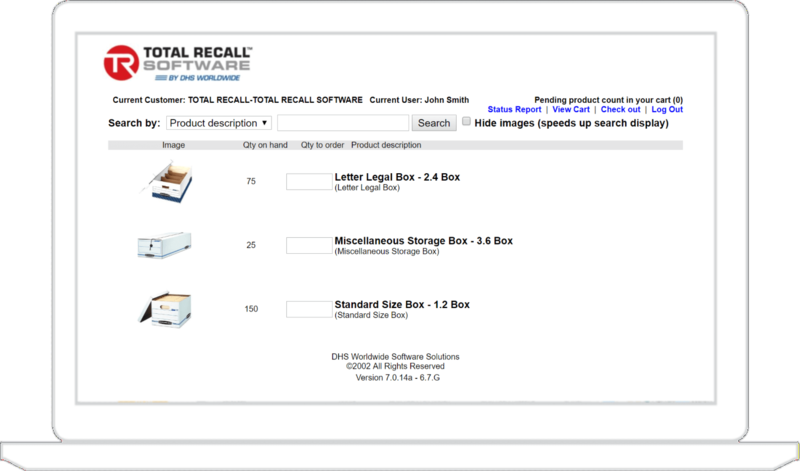 Product images also display along with real-time inventory stock levels. Client request automatically create an outbound shipments request order. Invoice for Services and Storage. Track Movement of All Assets.